Our used armored vehicles offer maximum performance and durability. Our inventory of used armored cars and used armored trucks includes money transport vehicles, prisoner transport vehicles, bulletproof trucks used armored SWAT vans and other tactical vehicles from names like General Motors and Ford. Discover great used armored vehicles from Ford, General Motors, Mercedes, BMW, and Chrysler, and many others. If you're business or organization is in need of used armored vehicles we can help. We've assembled a line of used armored cars and used armored trucks from General Motors, Mercedes, Ford, BMW, and more. Find your prisoner transport vehicles, used armored SWAT vans and other tactical vehicles from among the many choices in our inventory. Guarantee the protection you need with the superior design and technology afforded every armored car at The Armored Group. 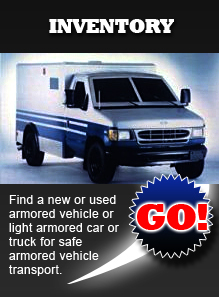 From bulletproof trucks including used armored SWAT vehicles to Cash in Transit vehicles, you won't find a better line of used armored vehicles anywhere. 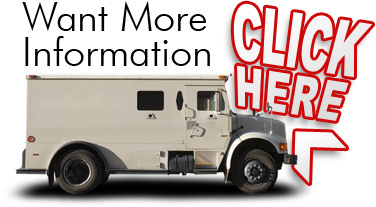 Our used armored cars and used armored trucks are customized to give you the level of protection you seek. Learn more about what awaits you at The Armored Group today.